While most visitors to Chicago never go farther south than the lakefront museum campus, for those adventurous enough to travel approximately 80 blocks south of the Field Museum, Wild Blossom Meadery & Winery awaits. 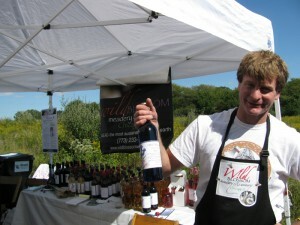 Founded in 2000 in the tidy Chicago neighborhood of Beverly, Wild Blossom is Chicago’s first winery. The Meadery itself operates out of the back of the Bev Art Brewing and Winemaker Supply Shop, while across the street in the “wet” part of Beverly, Wild Blossom has a capacious classroom where students can make mead, beer and wine. 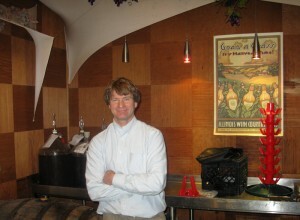 Midwest Wine Press interviewed winemaker and meadmaker Greg Fischer during July and October of 2011. Highlights of those conversations appear below. MWP: How did you start making mead? Greg: I grew up on an apple farm in upstate New York. We needed the honeybees to raise our crops. 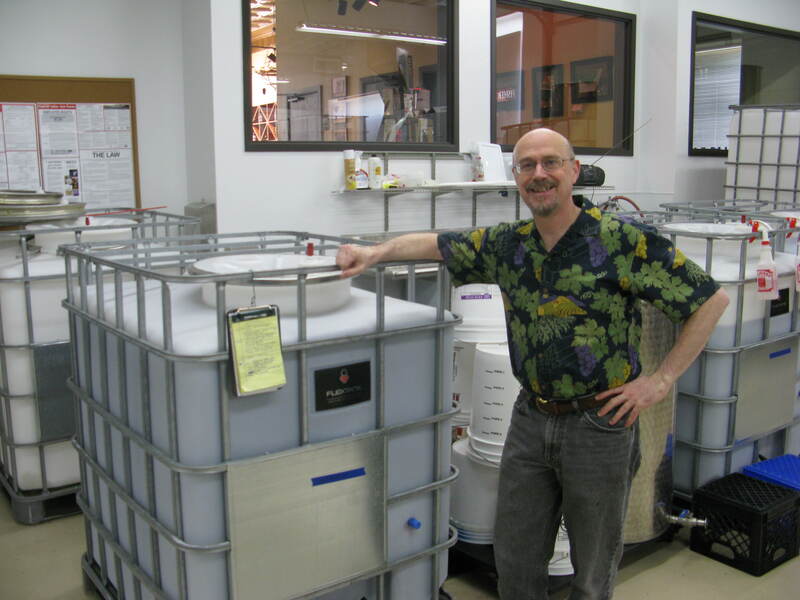 The path to becoming a mead maker and wine maker took 5 or 6 years of exploring and experimenting. MWP: How much mead and wine do you produce now? Greg: 3,000 gallons. We just sell wholesale right now. 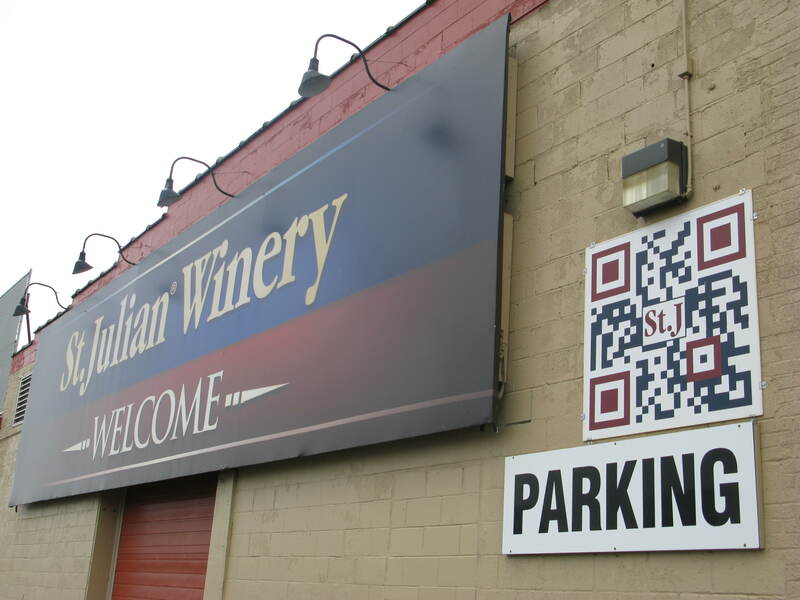 MWP: Are you planning to open a tasting room? Greg: Yes. Next Spring we should have our tasting room open at 91st and Hermitage. [On the south side of Chicago.] We’ll be right next to the Forest Preserve so it will be almost a country setting. There will be bee hives on premise too. We’ll keep them on the roof though, just in case a customer might be allergic. Greg: Because it’s harder to get good aromas from mead than wine, mead making is a very hands on process. You have to adjust the ph, acids, and nutrients as you go. But honey is one food that does not go bad. MWP: Does mead have a longer shelf life than wine? Greg: Yes, especially a sweet mead, because when the mead oxidizes, the sugar is a natural protection against microorganisms. As mead oxidizes it also can pick up a sherry characteristic. Since the mead also has sweetness, it still tastes good many years after bottling. I had a 40-year-old bottle of mead recently and it was still nice. MWP: And Mead does not require SO2 additions, right? Greg: No, but it’s good to have some SO2 to protect against bacterial infection and oxidation. Some mead makers are doing without SO2. It’s more of a marketing decision I think. Mead is a naturally healthy product. It’s full of micronutrients. MWP: Does mead need to be cold stabilized? Greg: No, there is no tartaric acid in mead to drop out. MWP: Your business is one of many meaderies doing well in a Midwestern urban area. Why do meaderies do well in city centers? Greg: First, mead is popular with young women, and they tend to live in cities. Also, mead is transition beverage from beer to wine. Guys and girls who might feel that wine is intimidating feel comfortable right away with mead. MWP: Bees have a honey production cycle; so why aren’t vintages on your bottles? MWP: You raise your own bees and make your own honey. Is that standard practice with mead makers? Greg: Yes, many mead makers use their own honey. Our honey comes from all over the country, but we have local hives too. Some of our bees are on top of the Marriott Hotel on Michigan Avenue. They pollinate the flowers in Grant Park along the Lake. You can’t get more local than that. To make one bottle of mead, our bees will pollinate about 2 million flowers.